burberry threw a party on thursday to celebrate the opening of their 10th store in the uk. the new burberry brit store is located in covent garden, and several familiar faces attended the event. 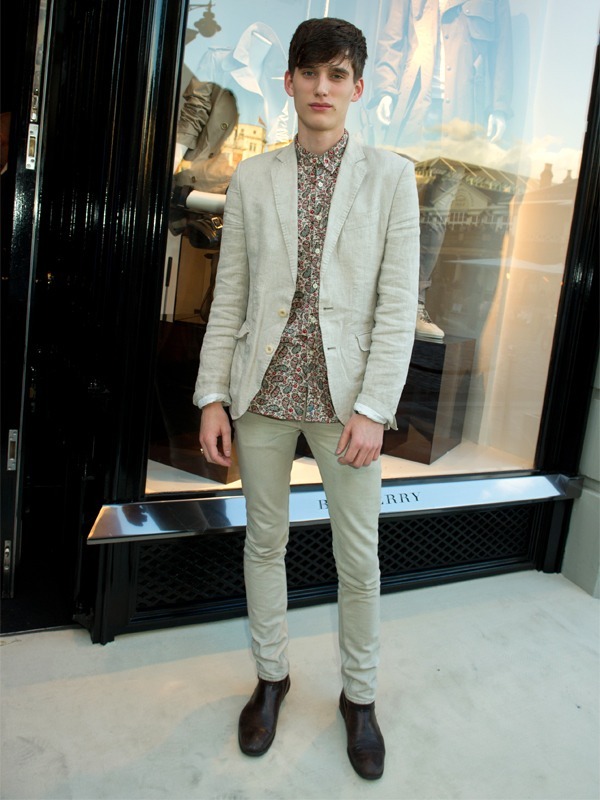 sebastian brice, a regular on burberry's campaigns, attended the event in a neutral colored jacket (love the rolled up sleeves) with a beautiful floral shirt (especially loving that he buttoned it all the way to the top). i am totally in love with that shirt, at first glance i thought it reminded me of liberty's print fabrics, but mr brice has to be wearing burberry at this event. 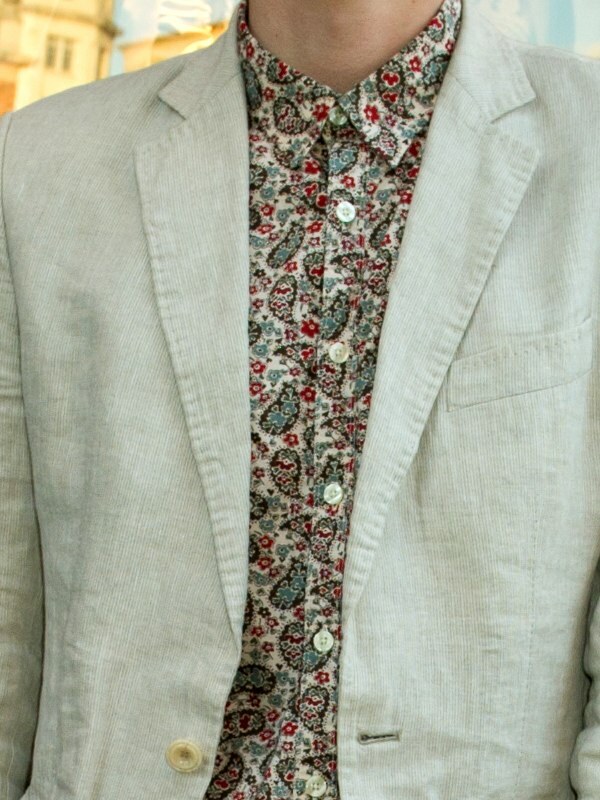 loving his whole look, and i need that shirt! I love those pants. Such a perfect fit. I wish I could find pants that fit so well. The print has a really vintage vibe to it. oh i am in love with his look too. even the shoes look very cool. and everything fits him very well. Was just thinking the same thing Joe, great look.